What could have been an extraordinary movie fails to hit the mark, notes Urvi Parikh. When Chuck Russell helms a film, expectations are sky high. After all, the Hollywood director has some iconic movies (The Mask, Eraser) to his credit. So you can't blame us if we expected too much from Junglee. While we applaud the film-makers for coming up with this less explored subject, we were disappointed with the way it eventually turned out. This wildlife adventure revolves around Raj, a vet working in Mumbai, and his father, the passionate owner of an elephant sanctuary in Chandrika. Despite their strained relationship, the father-son are united on one front -- their love for elephants. However, they face difficulties in taking care of the elephants from poachers who are keen on killing the mighty animal to trade their ivory tusks for moolah. How Raj saves the pachyderms from the hunters forms the crux of the story. First, we would like to applaud the makers for making a film on a subject of such importance. Cruelty to animals is an issue that has been discussed for ages. Backing a film with such a heartwarming message deserves applause. What could have been an extraordinary story leaving a lasting impact on the minds of the audience fails to hit the mark. Despite having a good plot, there are many glaring flaws that weaken the film. 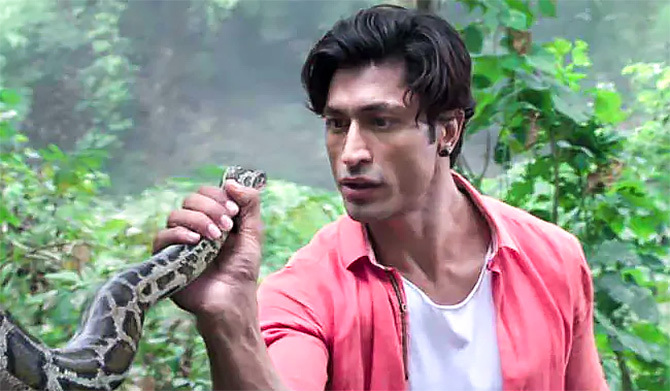 Vidyut Jammwal does a decent job. Given that he is good with action, one would expect to see some never before seen action stunts. However, nothing of that sort happens and he is restricted to some easy stunts that even Akshay Oberoi, who makes a special appearance in the film, is able to pull off. The action sequences between Vidyut and Akshay looks kiddish. Atul Kulkarni, who plays the ruthless hunter, does his job well. Some of his punch lines are a saving grace in the film. Though newbies Pooja Sawant and Asha Bhatt have good screen space, their roles aren't meaty. Whether it is the climax or scenes where the film's lead actors are fighting a crucial battle with the help of a pregnant elephant, much about this film is flawed. Trimming the length by 20 minutes wouldn't have harmed the film. A crisp movie would have had a better impact. 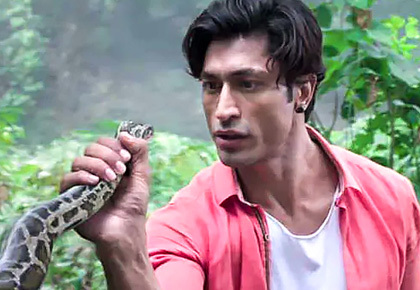 Still, for the sincere effort and its message, Junglee deserves a watch.